To ERP or not to ERP- This is one genuine question many business leaders may ask themselves. Implementing an ERP system is one of the biggest investments a business can make, yet many small businesses claim that they are ‘too small’ for adopting an ERP system. So we are here to focus on some point that why Small businesses need an ERP system to stay at the top of their competition. This stems from the mindset that the number of users expedition the need for an ERP solution. The accuracy is, ERP for small business must be faster and sharper than the competition. In today’s business perspective, no business is too small for an ERP solution. 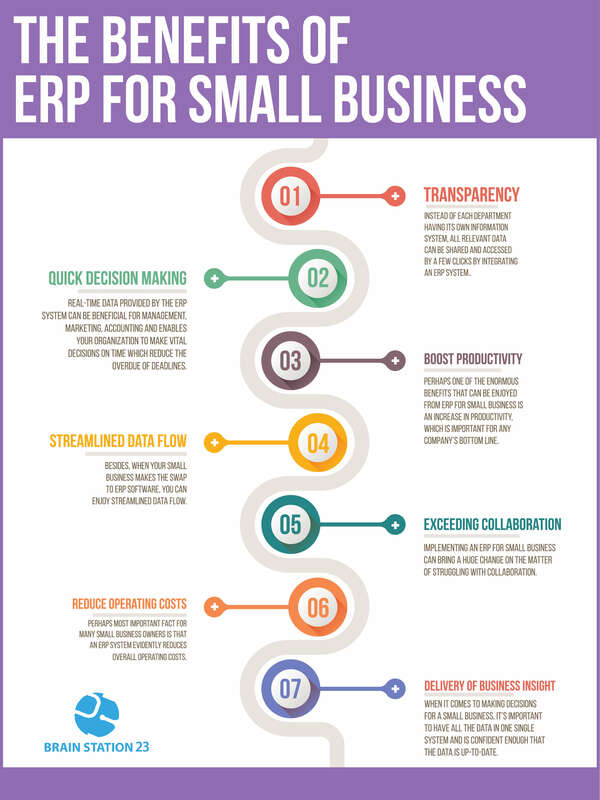 ERP for small businesses allows to appear, act and operate like an enterprise-scale business. Enterprise Resource Planning (ERP) has been known to be the backbone of many corporate-scale businesses. This software is a key tool for managing the whole tasks of a business life cycle like production, order processing adapt, inventory management and much more. It also supervisor business resources between stakeholders, such as; materials, revenue, order, staffing, and manufacturing capacity. All these things are done in a single interactive database management system with built-in analytics and a dashboard. Unlike vas business companies, an ERP for small business can be implemented across several aspects of industries like grocery shop, supermall, boutique shop, SME, trading, retail, manufacturing, human resources, steel, concrete, pharmaceutical, chemical, oil/gas, as well as agricultural, farming and livestock management. 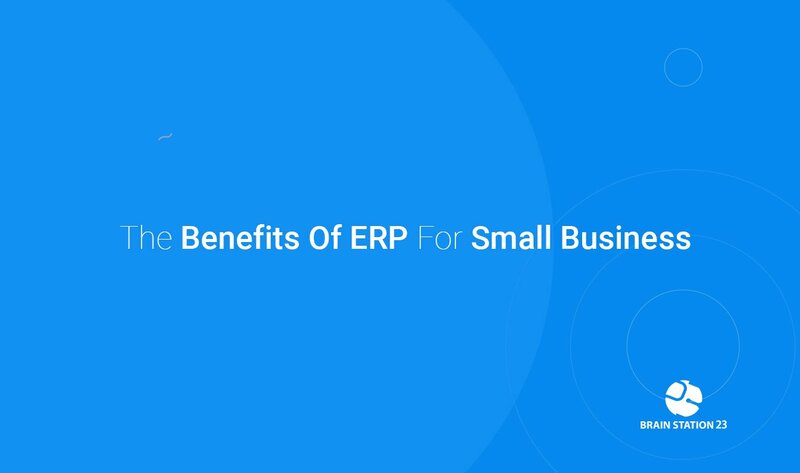 In the past, there haven’t been as many suitable ERP options available to small-sized businesses as there are at the present time. 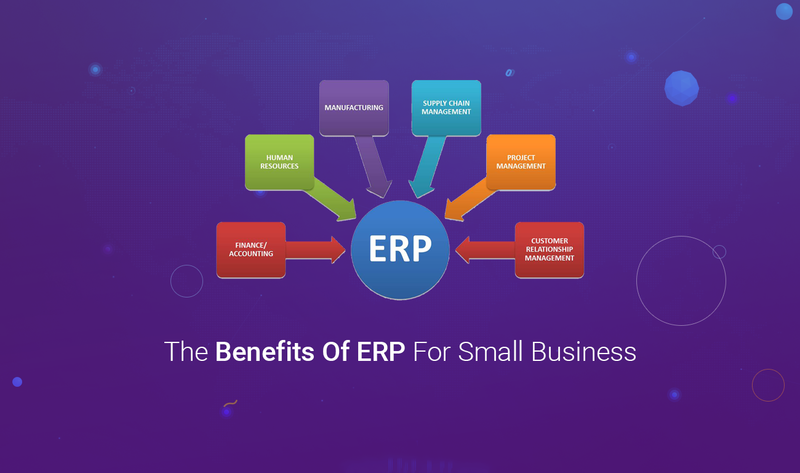 ERP for small business was not so easy as these businesses simply didn’t have the funds or technical support to create the base necessary to endorse the traditional corporate-scale ERP solutions. Therefore, growing businesses end up creating a fragmented business structure made up of several separate programs that handle finance, inventory, sales, payroll and more. However, recent technological advancements have opened the door to more practical small business solutions. Within a small company or startup, attendants wear multiple hats. Each person inclines in frequently wherever and whenever the need arises. But the fact is nobody has the time to manually process multiple spreadsheets and separate mountains of data and if so there must be some errors at the end of the day. ERP system for small businesses geared towards to blend and automate key business functions such as taking orders, inventory management, account management, etc. However, ERP software is integrated over all departments of a company of any size. Implementing an ERP system for small business entails careful planning in order to minimize the risk of failure and to ensure that all the goals are met. This progress requires an established ERP strategy prior to selection, a standardized implementation blueprint and involvement of all business and IT staff members. Any business can get a real-time return on investment dispatch from the use of an integrated ERP system if executed correctly. ERP implementation for your business- When you should realize that this is high time!! Are you loosing the track of your products? There are more scenarios like the sales estimation is based mostly on guesswork; the company is struggling to keep up with an upsurge of orders or relies heavily on Excel spreadsheets; getting solid facts becomes problematic- it is surely the time for your business to implement an ERP system. Instead of each department having its own information system, all relevant data can be shared and accessed by a few clicks by integrating an ERP system. This eliminates the need to re-enter or export data which can result in fewer errors. It increased the productivity of your company and reduced the expenses on human resource. Real-time data provided by the ERP system can be beneficial for management, marketing, accounting and enables your organization to make vital decisions on time which reduce the overdue of deadlines. Teams can detect any potential issues that may bump the productivity level. An overall report of operations allows the business leaders to make an effective decision on time and respond quickly to a changing business environment. Perhaps one of the enormous benefits that can be enjoyed from ERP for small business is an increase in productivity, which is important for any company’s bottom line. With increased transparency by smooth business processes, employees can shift their focus on managing enlarged volumes of business. This aids in transforming various features of your business and overcoming the challenges involved in your business growth as well. Implementing an ERP for small business can bring a huge change on the matter of struggling with collaboration. Poor communication and lack of collaboration often come as a result of employees not having access to data when they need it. When all employees have access to data across all the departments, collaboration is better facilitated because these workers are better able to see the “big picture” within your company. Perhaps most important fact for many small business owners is that an ERP system evidently reduces overall operating costs. By streamlining data into one software application, now you can save money on the individual software and management systems that you were previously paying for in each department. When it comes to making decisions for a small business, it’s important to have all the data in one single system and is confident enough that the data is up-to-date. With ERP for small business, there’s never any doubt that this is the case. As a result, decision-making is more joyous and greater peace of mind with having confidence in any choice making. With this information, maybe it’s time to start looking into ERP for your small business. At Brain Station 23, we offer our clients one of the leading Open source ERP solution named Odoo. In 2016, we became Odoo’s partner to help Businesses to adopt ERP for the best business outcome that is possible in the easiest way. Already we have Odoo clients from the US Bangladesh and Malaysia for customization, integration, and implementation work. A dedicated team of Odoo developers, business analyst and implementers are ready to serve the clients the best way for ERP implementation (both Odoo and SAP), Odoo implementation, customization, and integration with other platforms. After a lot of research and market study, we believe, Odoo is one of the best possible ERP available for both national & global market for small businesses specifically. 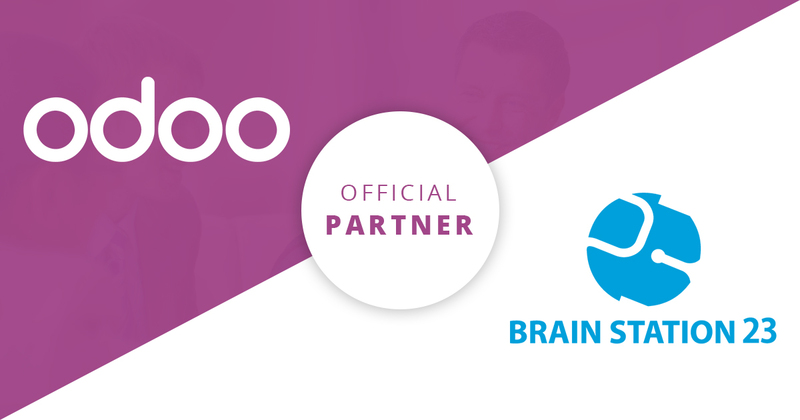 So, we’ve become Odoo’s partner for making our client’s business successful by understanding the customer need, then customizing, integrating and implementing Odoo with proper Odoo support. To know more, surf case studies of our ERP solution.